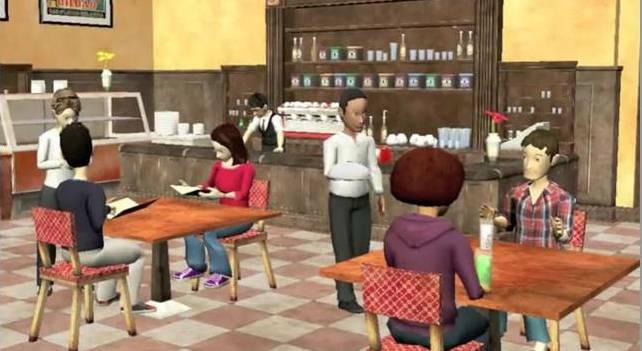 On my prior posts I had covered Muzzy Lane Software's partnership with Middlebury Interactive Languages (MIL) to create an innovative 3D language learning role-play game as part of MIL's Online World language courses – MiddWorld Online. MIL website is now announcing a most advanced language-optimized learning platform in the K-12 market, blending Serious Games, Social Networking, and Multimedia Interactive Learning. Initially supporting French and Spanish languages, MiddWorld Online Product Demo includes two key components: one is called Passport City, which is a Social Network, the second is the "Serious Game" that provides students the opportunity to use the language as if they were living in the country.